When looking for an entry level scanner most companies call based on what they have seen on the shelf at the local electronic store or at someone’s office. What the end user doesn’t understand is the technology in the unit and how they can benefit from that technology when scanning. 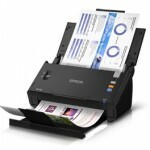 The Epson DS-510 is great for the entry level scanning user. The units is rated at 26 pages per minute Duplex and ships with all the great scanner settings that the big scanners have. Like Page Size Detection, Auto Color Detection, Double Feed Detection with Ultrasonic sensors, up to 600 DPI and PDF Scanning. Again these features are on all of the bigger office scanners. 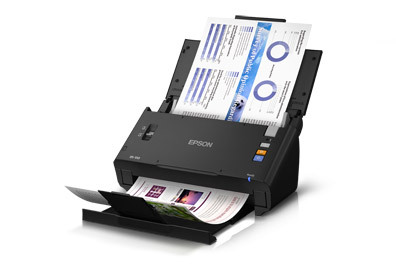 The Epson DS-510 is Packing a lot of power into a small footprint, the DS-510 is an ideal fit for nearly any office environment. Plus, with the optional network interface unit, each member of your team can access high performance scanning for critical project needs. To find out more on the Epson DS-510 scanner click on the link for Scanner One, Inc. or call us Toll Free 888-395-8570 We are more than glad to help you determine the right scanner for your scanning needs.